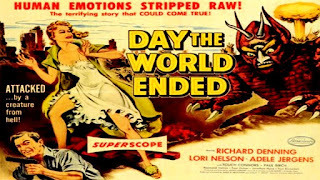 Day the World Ended is a post apocalyptic melodrama that feels like a 1950's version of The Walking Dead. Director Roger Corman [Masque of the Red Death, The Raven] had no budget to work with but manages to make the film look like a first-rate picture…that is until we get the full reveal of the monster. Corman wisely shows us on small bits and pieces of the beast so it keeps things interesting and suspenseful. When we finally see it in full figure, however, it looks like a Halloween costume that was picked up in a discount bin at Wal-mart. Disappointing to say the least. This is a shame because the rest of the film is pretty good as a character study of how people behave when resources are limited and survival is the main issue at hand. This is where its Walking Dead-ness kicks in. Fans of the show will find it to be familiar territory. The acting is solid and the story holds together without a lot of ridiculous pseudo-science. Yes, there are explanations for everything that is happening but they are quite convincing. 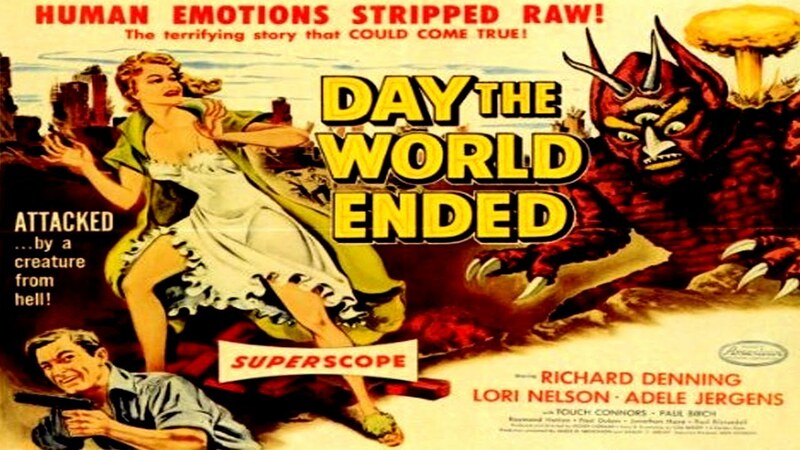 Thanks for Corman's direction, much of this film is effective. It's a shame that the climax is killed by a poorly designed monster.